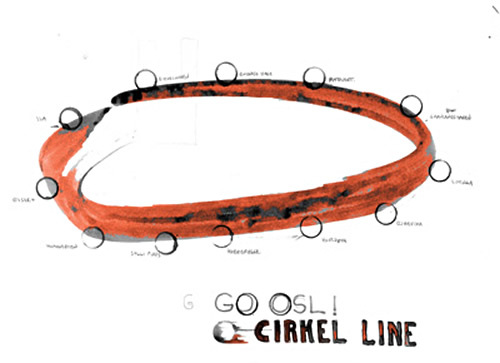 To really get around in Oslo in a practical way I propose to make an underground circle-line. Important new features are Bjørvika, Hovedøya and Phillipstad, which today has no real good connection with the rest of town. Bislet - Homansbyen - Solli plass - Aker Brygge (Phillipstad) - Hovedøya - Bjørvika - Loenga - Grønlandshagen - Platousgate - Botanisk Hage - Birkelunden - Ila.